When residential and commercial property owners sign contracts with various types of service providers, the agreements are usually valid for a finite period of time before they need to be renewed or renegotiated. Examples of such services would include internet, home/mobile phones, car insurance, floor mat rentals, and snow removal/landscaping. In exchange for a commitment of perhaps one or two years, these suppliers commit to providing a specified list of services at a fixed cost for that duration of time. Then, under the guise of convenience for the consumer, such contracts are often ‘rolled over’ without negotiation – sometimes with a price increase – to ensure that these services will not be interrupted. Regrettably, for numerous residential and commercial property owners in Toronto, this type of action may be more beneficial to the supplier, since some of their services may no longer be appropriate for, or required by, those customers. This scenario can often be the case with commercial garden landscaping in Toronto. Owners/managers of commercial properties in Toronto may find it more convenient to simply renew their landscaping contracts every year because, in basic terms, that would be one less item to worry about when preparing their annual maintenance budgets. But is it in the best interests of the business to just repeat the same landscaping contract year-after-year? However, if a commercial property landscaping contract includes basic maintenance like lawn mowing, leaf raking, and snow clearing only, and the contract is just rolled over annually, the above-noted benefits can diminish, disappear, or never take hold at all. Commercial property landscaping should encompass much more than routine lawn and garden maintenance. The money invested in commercial property landscaping is essentially an investment in that particular site and/or business, and as such, should be expected to produce a return with respect to revenues, aesthetics, and/or a healthy work environment. Therefore, commercial property owners in Toronto may wish to revisit their current landscaping contract and, if the return on that investment is less than optimal, it may be prudent to consider the scope of services from a full-service provider such as Landcare. Looking for a full-service landscaping company in Toronto to maintain and enhance your commercial property? 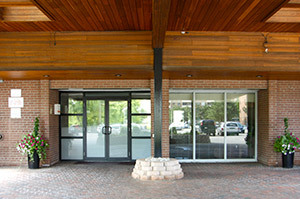 Landcare has a wide range of commercial landscaping services to meet your needs year-round. Call the professionals from Landcare today at 647-557-7307 to schedule your no-obligation consultation.